HandyPro Handyman Service is a growing company, which celebrated its grand opening in Kansas City in January, 2013. HandyPro has been in business since 1996, providing home repair, remodeling and additions, commercial building repair and maintenance service in over 1600 categories, including drywall repair, painting, plumbing and anything on the homeowner’s to-do list. They also specialize in home modification for seniors and physically challenged to allow them to remain living in their homes and lead productive lives. No job is too big for the local handyman who comes qualified to perform complete remodeling jobs. No job is too small to be handled with respect and attention to detail. From sticky doors and windows to new flooring and fixtures, the full-service handyman can do the job correctly and efficiently. Kent Fischer, owner of HandyPro Handyman Service of Kansas City has spent 30 years working as a Safety Consultant in the insurance industry. His Lead Technician has over 35 years experience in remodeling, construction and cabinet building. In addition to great carpentry skills, he is also versatile in plumbing and electrical work. 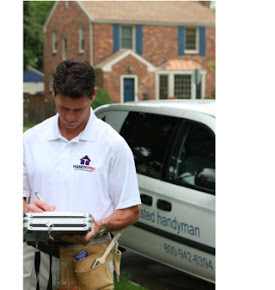 HandyPro Handyman Service is well-known for their friendly home repair contractors who listen to their customer’s needs and perform quality work at an affordable price. They offer free estimates and give a one hour appointment time frame. 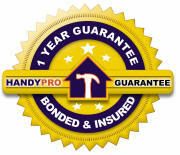 The local handyman is licensed and insured and all work is guaranteed for one year. HandyPro service technicians are well-respected for their professional workmanship and they always leave their work area clean when finished. HandyPro Handyman customers include senior homeowners who need home modification to improve accessibility and mobility in their home, homeowners and business owners that need help with repairs and maintenance. 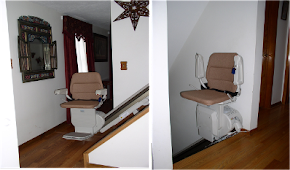 Senior home modification includes wheelchair ramps, stair lifts, strong and durable grab bars, complete bathroom and kitchen remodeling, door widening and much more. 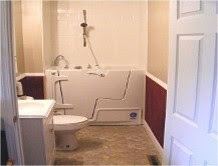 The handyman will perform an assessment and written estimate for work according to the client’s own special needs. 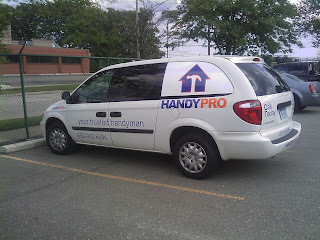 HandyPro Handyman Service is the one to call for all home improvement and repair projects. HandyPro provides commercial and residential building repair, maintenance, remodeling and additions in the Kansas City area.